We have a super easy deal this week at Rite Aid. 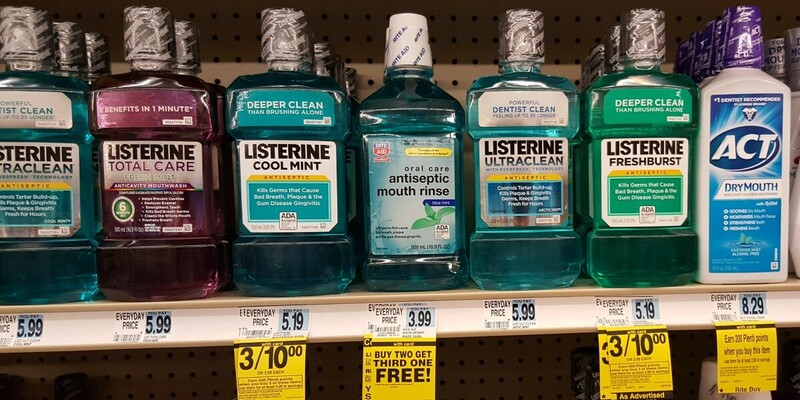 Select Listerine Mouthwash 500 ml are on sale for $3.33 each, must buy 3 to get this price. Also, when you buy 3, you will earn 500 Plenti Points ($5.00, limit 2). Now, we do not have any coupons available but just combining the sale and Plenti Points we will score 3 Listerine Mouthwash 500 ml for $1.33 each!